Episode 61: We're Gearing Up for a PODCRAWL!!!! Thank you for your support! Â We love you and appreciate everything! We are back and we are ready to go... Hulk Hogan, Adam Sandler and taste tests galore! Â Remember Podcrawl 2015 is on September 12 2015! Check us out and see what you think! Episode 59: We're ROARIN to Go! What happens next we can't explain.. seriously, you have to just listen. Â I had planned to have a taste test and a deep conversation about a few things when @Morningzoojoe steps to the plate and knocks the ball out of the park. Â He tells us about one of the things he did in college, Clemson University to be exact, as a member of Tiger Roar... seriously, you have to listen, this is Podcast Gold! There are some other things talked about as well, but seriously, I don't think even our guest Writer/Director Rob Raffety expected what happened next... nor did his amazing niece Lindsay who stopped by before she went back to West Virginia Wesleyan College. Thank you everyone for listening and keep the comments and the love coming! We want to thank everyone who has been buying all their Amazon goods through our website at www.notanotherpodcastusa.com Â It has really helped us with keeping the lights on. Â If you don't know about it just go to our site, go to the right side of the web page, scroll down to the middle and the Amazon link is there, it takes you to the site and you are all set..it's that easy! Thank you again to everyone for your love and support, its amazing we have not been asked to leave the internet... don't tell Al Gore! We made it through 4th of July and Brett has stories of the Foo... and what he thought of RFK Stadium. We then talk about stupid people in the news... we talk about Jared from Subway and we talk about Trump... our man for President. Thank you so much for your love and support. Â We want to say Happy Birthday to our American Listeners and we want to thank the world for your love and finding us and enjoying the show! I want to apologize for the audio.. I forgot to hit a switch and the sound is there, but it is a bit hollow. Â I got excited about Donald Trump running for President I guess. Thank you again NAP? Army! Â Remember.. help the show by going toÂ http://www.notanotherpodcastusa.com and scroll to the middle right of the page, click on the Amazon link and shop Amazon like you normally do... you get what you want and we help defray the cost of the show! Big Things Are a Comin! We want to thank all of you for listening and we want to thank NAP? Army Member Greg for coming up all the way from Charleston, SC to sit in studio and watch this train wreck we call Not Another Podcast? Â Thanks Greg! Finally we talk about the passing of 3 icons in their respective fields. 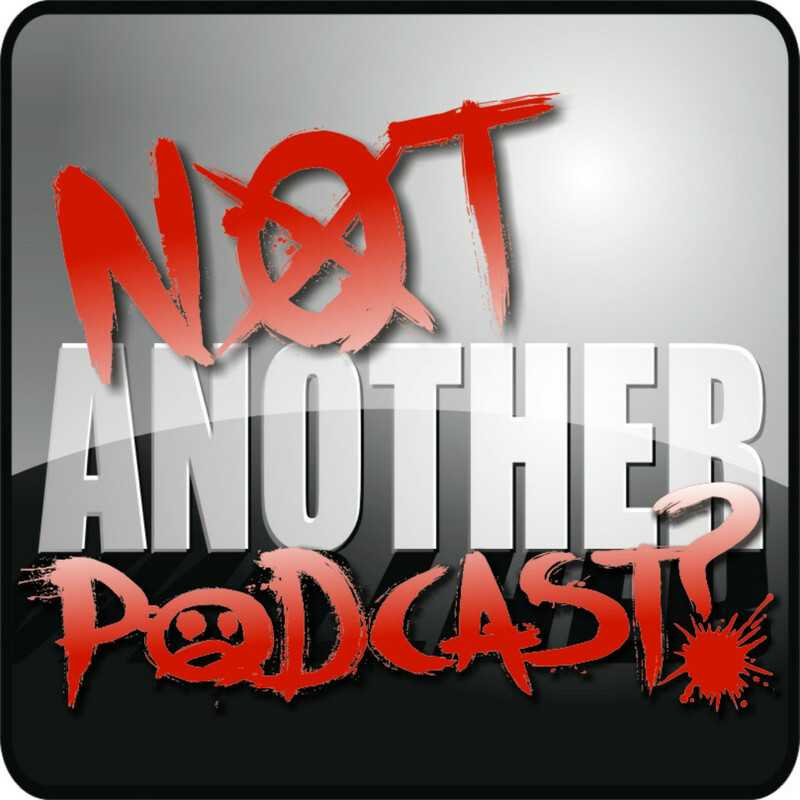 Thank you again for the love, please check out our siteÂ http://www.notanotherpodcastusa.com to like us on twitter, Instagram, Facebook and please, please, please like us on iTunes!!! As the R&B group Tony! Toni! Tone! said in the 90s... DO YOU KNOW WHAT TODAY IS??? IT'S OUR ANNIVERSARY!!! Before we talk about our year, we talk about The Herndon Festival, the JOTT GOOSE was missing and of course the person formally known as Bruce Jenner. Thank you to the NAP Army for everything, you make it all worth while. Â We love your feedback and would love to have more! Â We are excited about the future and we only just begun! Hope you enjoy the Podcast! We hope you had a great Memorial Day Weekend... we were really busy ourselves. Â Joe was not available tonight so Brett spoke on his weekend and I spoke about my trip to Chicago capped by going to seeing the Cubs at the Friendly Confines of Wrigley Field.. Thank you to you all for your love & support. Â Next week is 1 year.. June 2 to be exact and we could not do it without you! We Love You NAP? Army! "Sure Hand" Simons... or Brett to the NAP? Army... helps Bill and Joe talk about new fast food items and why plumbing is important at Pimlico. We talk new fast food items and we say thank you to two icons... B.B. King and Dave Letterman as he signs off the air one last time. Thank you NAP? Army for your support, we could not do this without you! Â Check out our website atÂ http://www.notanotherpodcastusa.com and shop Amazon today from our website and help our show out! Brett and Bill go over the news that matters to you! Look to the right of our site and then scroll down to the middle and Click on the Amazon link provided. Â It's that simple! Episode 48: This Episode Has Gone to $&@*! IT REALLY MATTERS and WE LOVE YOU SO MUCH! Finally.. Happy Mothers day to all the mothers out there! Â I miss you mom! We start out by thanking the good people of Sweden for their late surge in listenership... It truly is amazing that over 60% of our audiance is in fact outside of the United States. And thank you Hertford England... You are great too! We talk about our weekends, we talk about the Kentucky Derby and the Mayweather Pacquiao fight as well. This is a special episode of The Quadcast, a friend of our show and where I fill in forÂ @aneurysmnvÂ on The Quadcast as I am the guest of The Quadfather'sÂ @QuadFatherMftÂ show.... I had a blast doing it and I hope you enjoy it. Â Here are the links to the The Quadcast and please rate and review them as well... they are really awesome guys! Remember to check out our website atÂ http://www.notanotherpodcastusa.comÂ and please review us on iTunes, Stitcher and TuneIn! Also buy your Amazon good through our site! Â Just go to our main page and look the the right and scroll down to the middle the link is right there! With the start of Hockey Playoffs and The Grateful Dead Celebrating 50 Years, we thought Steal Your Face Off would be appropriate... Get it? We start with Nick Mundy on Comedy Central and why Bill looks like he has Blood Pressure issues and proceed to talk about Playoff Hockey, How Bill won the Masters, and even.. get this.. World War Z. Â It's All over the place but we think its good fun. Thank you NAP Army? For everything you do! Â We ask that you please go to our website www.notanotherpodcastusa.comÂ and please click on our iTunes link and give us a 5 star review, we need your help to get to more listeners, reviews help... A LOT! Thank you so much for everything and we will see you next week! Neighbor Joe joins us for a discussion of NCAA Championship Basketball, Celebrity deathes and other things that make us go for over an hour this episode. Like what you hear? Â Please check out our website at www.notanotherpodcastusa.comÂ and click on the iTunes link and PLEASE RATE US... every vote counts! We got the sound right and Brett and Joe sit down to tell Bill about their adventures for the weeek. We then discuss things that should really be sports that we have seen in TV and Movies and then do another taste test. Happy 1st Day of April and and thank you for another great month of listening and downloads... Thank you so much! Hey NAP? Army... first, I want to apologize for the sound, Bill realized he had the sound board options wrong after it was recorded so the sound is from the computer not the board... so I apologize for that. Â It will be MUCH better Next week... promise! Then Joe leads Brett and Bill in a dicussion on Top Gear, and what it means for the show now that Jeremy Clarkson is gone.. and so is that kid from OneDirection... we feel your pain England! Finally Brett takes us on a Wonderous journey that is Wrestlemania... is he excited about it? Â You let us know! Thank you again NAP? Â Remember to Review us and follow up on iTunes, TuneIn, Stitcher and please like our Facebook Page and Twitter too! Brett, Joe & Bill have been on a one week break. Â A lot of stuff happening and the show unfortunately took a back seat to our lives, but we are back and we are ready! Thanks for waiting... hope it is worth it! Episode 40: Not Another QUADCAST!!!!! Greetings NAP? Army & Quadcast Warriors! This took a few tries but we did it! Â We bring you the first combined show in NAP? History and we are very excited. Â We had some difficulties because when you have 5 guys in 3 time zones doing everything on Skype.. something is bound to happen! We had a blast on this episode as we discuss how we both started, our love for the The Mike O'Meara show and we try and guess TV Theme songs... Morning Zoo Joe makes us proud! A special thank you to the Quadfather and Swanny for making your schedules open for us to do this event that New Yorker Magazine called "A Quadrophonic Event!" Â OK... they didn't but it was a lot of fun! Â Tell us what you think! Twitter @QuadfatherMFT and @aneurysmnv Â and catch them on iTunes! We then talk Oscars, Bill makes a point about what the Academy might have been thinking in their vote for best picture and then somehow, we talk about another Oscar Worthy Movie... Battleship. Please check out our show onÂ http://www.notanotherpodcastusa.com and use the links to go to Rate us on iTunes... and like our Facebook Page and Twitter. Hey Everyone... Happy New Year! It is the Year of the Sheep... (see what we did there) and we start the show with weather issues, and my isues with the Movie 50 Shades of Grey. We then talk about Pyramid marketing and then onward to other things that got our goat (see what we did there.. sheep... goat). www.notanotherpodcastusa.com and rate and review us on iTunes... it really helps us! Thank you for the love and support... let us know what you think! Episode 37: In a Row???? We start out talking about our weekends... Joe was Blind, Brett was sick and Bill was in NJ... are they related??? Episode 36: Public Domain You Say? We talk about the party at Bill's house... and he actually showed up. Â We talk about my newest Parking ticket in you guessed it... Washington DC... and then we just go off on different tangents that make us so uniquely us. Episode 35: Let it Snow, Let it Snow.... LET IT SNOW!!!! We are sorry we missed you on Tuesday but here we are putting the show out Wednesday because Brett had to miss it... and does he have an epic rant why he missed it. And then we close out with EQ of The Mike O'Meara Show fame as he waits in nervous anticipation for Coach K's 1000th win last Sunday. Don't forget Jimmy's Old Town Tavern will have The Mike O'Meara show gang live on site during the game. Â Get there early to get a seat and may the Gambling Gods give you the odds in your favor... yes I sort of ripped that from The Hunger Games, but they don't do game spreads, so there's that. Check out Jimmy's Info on Facebook and Reserve today! Be Careful with the Weather out there! Episode 34: What in the ATL is Going On TV? We talk about the week that was, the week that will be and we talk about Reality TV for a bit... actually we talk about a lot of random stuff... it was a weird week here in the suburbs of Washington DC. Remember everone, check outÂ http://www.notanotherpodcastusa.com for all things NAP? and to rate, subscribe and review our show on iTunes, TuneIn and Stitcher... this helps us get ranked on those services giving us more exposure. Â Remember also to share with a friend! Â We love and appreciate your support! This show will be rememberances by those who knew him well here in the Herndon, VA area. Â O'Sullivan's Irish Pub in Herndon, VA help a 1 year memorial gathering for those close to Damien and Brett and I were honored to be part of it and record the stories of those who loved him so much. I want to remind listeners that this show does get a bit blue and parental guidence is STRONGLY suggested. Â These stories are told in the first person, so be aware that language does enter this recording often. Thank you again NAP? Army for the love and support and we will be back with a regular show on Tuesday. Â Right now.. this is Damien's time and Damien's Day... we miss you Ginger! Tonight our own "Neighbor Joe" is back to tell us about the weekend... his birthday was two weeks ago but what a surprise he had in store for him! We also talk about Pawn Shops of all things.. didn't expect it.. but it happened... and its pretty entertaining! Finally we talk about an event we are having this weekend at O'Sullivans for a friend who passed away last yearÂ Damien Scanlan and all proceeds will go to The Kevin Bell Repatriation Trust. Â The Kevin Bell Repatriation Trust aims to alleviate the financial hardship of bereaved families repatriating the body (bodies) of loved one(s) who have died abroad in sudden or tragic circumstances back to Ireland. Thank you again to the NAP? Army for Your Love and Support! Here is episode 31! Â We laugh, we cry we talk game shows, we talk Elvis and Bill tells his theory on what happened last night. Not Another Podcast... hot and fresh ... unlike the weather... just for you! HAPPY NEW YEAR NAP? Army! It's our last show of the year... it is our 30th show... and it was recorded on the 30th day of December... so it's our 30 for 30.. see what we did there? We then go into our year in review in TV, Movies and sports... if you want to let us know what you think, check out our website atÂ http://www.notanotherpodcastusa.com/Â to leave a voicemail on the site or to send a tweet or email. Thank you so much NAP? Army.. this has been an amazing ride and we cannot wait for 2015... you have blessed us so much and we want to contiune to entertain you. Â Thank you from the bottom of our hearts! Episode 29: It's A Christmas Spectacular!!! Everything from songs, to movies to TV specials.. we got you covered! Thank you NAP? Army for your love and support and Brett and Bill want to wish you all a happy and safe Holiday Season! Speaking of things that were not expected, Brett gets a surprise during the show in regards to his birthday that turned out to be a lot of fun and why this episode is being published at 3am EST. Finally we have a discussion about Jimmy's Old Town Tavern doing a Flash Mob in Reston Town Center after winning their 4th consecutive King of the Wings Competition! Brett and I come to you a day later (it's Bill's fault... but needed to happen) and a day smarter.. we hope. We start the show off giving thanks and some updates on past guests and give a shout out to a Podcast we listen to and watch on YouTube Â run by the Quad Father... check them out and tell them you are a member of the NAP Army! Finally we close out the show with a few thoughts of our own as we get ready for the Holiday High Season! Please check out our website atÂ http://www.notanotherpodcastusa.com/ and sign up for the newsletter, leave us a voicemail ONLINE and let us know what you think. Maiden Sm'Akron stops by the studio (OUR FIRST IN STUDIO GUEST!!!) and talks about DC Rollergirls. Â They have a match coming up in Dulles and we want the NAP? Army to Represent! Remember there is only a few shopping weeks left for that mug, or t shirt or that hoodie you forgot to get your loved one in the NAP? Store. Â And leave us a voicemail.... on the website! Â If its good.. its on the air! Just in time for BLACK FRIDAY!!! We start out the show with our traditions on Thanksgiving.. they vary a bit and then we get down and dirty on our tasting of foods... and one of them... um... yeah... there is a picture of it. Â Thank you Amazon Prime! Brett and Bill want to thank everyone for their love and support and to wish all of you a safe and happy Thanksgiving. Â Without you, this show does not exist! Be sure to check out the website on the right side. Â You can leave a voice mail from your mobile site or your computer. Â If it is great, we will have it on the air! Episode 24: It's Time To Clean the Gutters! Brett and Bill Start the show out talking about the new commerce site that will be available this week... just in time for Black Friday! Â NAP Army Rejoice... We Sold Out! Â We have Swag to buy! Brett and Bill start the show off with Brett talking about his situation last week and if he was ok (your emails required this conversation). Â He is ok, but let's just say it was much ado about nothing.. and nothing is code. Â So is MAP... and we explain. Bill then talks about his sausage making class. Â Yes, the inuendo flies and it is fun for the whole family... FCC approved too! Brett and Bill start the show off a little off schedule and Brett explains why and as the show progresses, you can hear why as well... Brett.. Not a fan of a particular place after tonight. Finally Brett and I talk about Military Movies and shows. Â What were our favorites... and we ask you... what were you favorites. Â Please go to our websiteÂ http://www.notanotherpodcastusa.com/ and drop us a line on your thoughts. Sorry for the delay, Bill was traveling all day to get to the show and was delayed 24 hours. Â He is back and talks to Brett about his experience. Sign up for the newsletter and really become a member of the NAP? Army! Thank you so much for the support... we love you! Episode 20: Bringing People Together. Brett and Bill end up in West Virgina for the weekend.. for different reasons. Â Brett was there for his sister's wedding on the Eastern Pan Handle. Â Bill ended up at West Virginia Wesleyan for his 18th Class reunion... 18th? Â Why would you go... Bill Explains. Bill and Brett then bring it all together by talking about bands that need to have a reunion too. Bill will be gone this week in Maui but rest assured, they will do there best to have a Tuesday show next week. Tonight we discuss the fall of Saturday morning cartoons. Â They are no more... Brett and Bill wax nostalgic about some highlights of the Saturday morning ritual. Brett and Bill then put on their cranky pants and talk about how kids of born in the year 2000 (they are in high school now... ugh) never had it so good. We ask the NAP Army to click on the link below and take the brief survey for our show, it will help our provider place the show in the proper demograpics for their podcast showcase. Finally, sign up for our email news letter, it will come out as inconsistantly as possible but hopefully of a better quality then our consistantly bad show... thank you all for making this happen! Â We love you! PS- we would love to hear from our listeners outside the US on why you listen to the show... we love your support! Once again we are on the road, on location because the studio is moving and everything is in boxes ready to go! Thank you everyone for your support! Â Thank you Hertford England for your support of the show... please write us on how we can get some Football Jerseys... we want to show our love when we record the show. Another shout out to Eastern PA (Bethlehem, Harrisburg, York, Lancaster) coming strong today in the downloads... wow! Â Thank you! We could not do this without you! Â Let us know what you think! September 30, 2014 is Podcast Day... so Happy Podcast Day Everyone! Finally Bill goes into a rant about something he posted on Twitter last week... a DC parking ticket... I go full in... but if you want some entertainment on this... check out the raw feed of Ward 8 Council Member and "Mayor for Life" Marion Shepilov Barry Jr. speak to his issues with parking tickets with Fox 5's Emily Miller back in August of 2014. Hertford England, we love you! Episode 16: "Mystery" Guest Charles Stiles Joins The Show!!! We are very excited to let you know that our "Mystery" Guest, Charles Stiles, Host of Food Network's Mystery Diners, joins us to tell us about the show, how he got started and where he is now (he is finishing up another season). Â This was a lot of fun because Brett and Bill are HUGE Mystery Diner fans! The Guys also talk about Bill's trip to the ER... everything is ok, but was a bit scary, no doubt! Episode 15: NICK MUNDY JOINS US!!! Before the Nick interview we talk about our weekends.. Â Bill drove 1963 miles and Brett was driven mad by the RGIII incident in the Jacksonville game. Finally we give an overview of PODCRAWL 2014 and THANK YOU to everyone who made it a success! Â Could not have done it without your love and support! If you would like to have a memento of the event, T shirts are $15 plus shipping. Â We ship anywhere! Episode 14: 2014 NAP ARMY PODCRAWL!!! Before we start our "crawl" I interview Rob Rafferty, a director of one of the films in the DC Shorts Film Festival, which starts this week tells us a little bit about this festival which has garnered a lot of attention in the film industry and has thousands flock to DC every year to partake in Â viewing and showing their short movies. We then queue the music as our 2014 PODCRAWL begins atÂ The Wiener's Circle for "NAP SNACKS" and then we get things really cooking at The Breeze Restaurant and Sports Bar where we interview someone who knows all too well about the Series Premier of "Lock Up Fairfax County" on MSNBC. We then press on to O'Sullivans where we were lucky to have Mayor Lisa Merkel join us to tell us some things happening in town. Â Unfortunately, my mic died during the interview, I kept it in because you can hear me a bit still, but we end up having a do over interview later in the show. Â We also haveÂ a member of the NAP Army took the LAY'SÂ® Cappuccino Flavored Potato Chips challange... which is described on their website as " a unique combination of great taste and good funâ„¢ rolled into one great snack" Brett Simons and I would like to disagree with that statement... so would the contestant. Finally, we roll into a Northern Virginia Institution Jimmy's Old Town Tavern.... where we talk withÂ Eric Quarnstrom and Tegee Rogers about Jimmy's what is going on and some funny side stories. After the Podcrawl was over, I realized we messed up two segments so the mayor was kind enough to call into the show Sunday morning and redo the segment from the day before. Â We have some links here for you to check out from the Mayor's Office. Brett SimonsÂ and I want to Thank EVERYONE who made the 1st Annual NAP ARMY PODCRAWL a HUGE and OVERWHELMING SUCCESS! It was a lot of fun and I hope to get the show up shortly. There were a few technical glitches... but I will work on getting some re do's... it is the perils of doing things life... WE'LL DO IT LIVE... Thank youÂ The Wiener's CircleÂ The Breeze Restaurant and Sports BarÂ O'Sullivan's Irish Pub - HerndonÂ andÂ Jimmy's Old Town TavernÂ for your hospitality... I want to thank the Town ofÂ Herndon VirginiaÂ for your love and support and of course, MayorÂ Lisa MerkelÂ for stopping by and giving us legitimacy... something we definitely DO NOT have! T SHIRTS ARE STILL AVAILABLE FROM THE PODCRAWL!!! Â $15 Each and $17 for XXL.. Â They are pretty AWESOME!!!! T Shirts will be available for Purchase! Tonight we talk about Superstitions and the ones Brett and I have. Â We also get into the Back to School swing of things and talk about our favorite lunch boxes. Episode 12 we open up thanking the NAP? Army and Let you know that the Podcrawl is less than 2 weeks away! Â Get ready Folks... join us on Saturday September 6 for the First Ever "PODCRAWL" Â That is a Podcast and Bar Crawl... here is the Evite link.. join the fun! Episode 11 : We'll Do It Live! Literally! We also do another taste test... we may have found a chip worse than cappuccino! And of course you can buy our app in the Amazon App Store... its pretty cool kids! Love you NAP ARMY!!! Â FORWARD WE GO! Tonight starts our new night on Tuesday and unfortunately, it starts out with the passing of Robin Williams. Â We reflect on his life, what he meant to us and some top moments in his career. We also have a taste test... Yes Ritz Crackerfuls.... are they worth the price of admission... we wait for the mic of Brett Simons to Tell us. Thank you to the NAP Army for making us #50 on the New & Noteworthy shows on iTunes... we really need you to VOTE for us and SUBSCRIBE to move up, so others can see why you love us so much... AND WE ARE SO GRATEFUL! We Want to Thank the NAP Army for their Support and URGE you to Like Us on iTunes. Â Here is the link to our show and we have a contest for you to win and help us, listen to win! On tonights show we go over some Bad Songs, Some movies we thought were cool in the 80s and really weren't and talk about the phenomenon known as "Bronies"
THANK YOU ALL... WE LOVE YOU!!! This is a very special episode of Not Another Podcast? Â It is an episode where I have my good friend Brian Jozwiak on the show to talk about his career at WVU and with the Kansas City Chiefs. Â He also talks about why he has been helping the WVU Children's Hospital with his Charity Joz Noz Kidz. THank you again NAP Army! Â We love you and hope you enjoy! Brian Jozwiak will forever be known as one of the most dominating offensive linemen in WVU history. In 1985 alone, Jozwiak was tabbed as an All-American by five different sources. He was only the fourth consensus All-American in school history and one of only six Mountaineers to be selected in the first round of the NFL Draft. He was also named a second team All-American by the Associated Press in 1983. During his tenure on the offensive line, No. 77 guided the Mountaineers to a 33-13-1 record and three Bowl appearances. Jozwiak was originally recruited as a defensive lineman, but made the switch in 1983. A member of WVU's 1980-89 all-time team, Jozwiak was drafted with the seventh pick in the first round of the 1986 NFL draft by the Kansas City Chiefs and played for three seasons before injury forced him to retire. Off the field, Jozwiak was heavily involved with charity work in Morgantown during his days as a Mountaineer. Among the charities he was involved with were Special Olympics, March of Dimes, Easter Seals and the WVU Children's Hospital. Episode 6: Why is the Baby in the Woods? We are now on Episode 6 and Brett has a full time seat, no longer in his folding chair, Brett gets comfortable and boy does have some things to say! We talk World Cup (the last one for 4 years), We go over The ESPY Awards coming up this week (Brett wore his T shirt Tuxedo for this) and we talk about the passing of Tommy Ramone, the last remaining member of the original Ramones. We go over two reality shows.. one answers the questions about why the baby is in the woods and the other gives a nice segue into how my OK Cupid Profile looks to the average woman looking for love. Finally I go on a bit of a rant.. well maybe a sermon... well maybe its just a thought. Episode 5 sees a Professional wrestling twist no one saw coming, not even Brett, who decided to join twitter @fooboy21 for the show. Â He has to answer 10 questions about the Foo Fighters... Does he keep his seat? We also talk about Â our July 4th weekends, the World Cup, the guy who fell asleep at the Yankees game suing everyone, Baseball at the halfway point and Anthony for the Opie & Anthony Show is out of a job and probably has to join us podcasting. Brett rants and we let you in on the first ever "POD CRAWL"
Remember to check outÂ http://www.notanotherpodcastusa.com to like us on facebook, follow us on twitter and to make our show blow up... we love your support! On This Episode, your fearless heroes speak about Professional Wrestling with Professor Brett Simons. Â We also talk about the World Cup and The Washington Redskins (this one is interesting). Â We talk about going to Atlantic City together... for different reasons. Â We talk about the TV Guide Ranking of Cartoons. and a few other things. Â Remember you can email us at notanotherpodcastusa@gmail.com send us a twitter @NAPODCASTUSA and our facebook page. Stay tuned for sponsors and an actual webpage! The first show has Mr. Brett SimonsÂ coming out of 13 years of retirement as an on air personality to help me focus thoughts on all things that really do not matter in this world but you will get our take on Fried Chicken, North Korea and what in fact is trending. The show ends with a special rant from Brett about a particular problem he has with a GPS function. Please know that there were a couple of curse words used in this Podcast and listener discretion is advised. Â Be mindful though because the word was only used twice, I do believe it qualifies as a PG-13 broadcast by the MPAA. Thank you for all of your support and hope you enjoy!